Blake at America Ferrera’s Wedding – June 27. 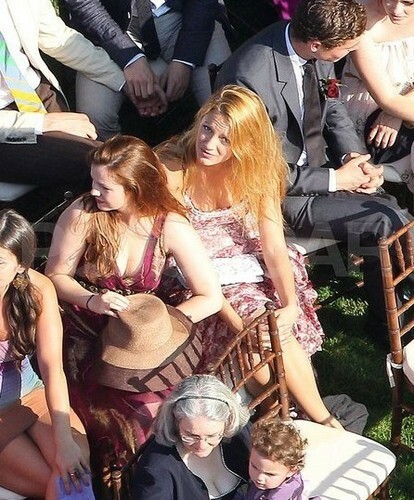 Blake was at her Sisterhood of the Traveling Pants co-star, America Ferrera’s wedding yesterday in New York with the rest of the Sisterhood girls.. Wallpaper and background images in the Blake Lively club tagged: blake lively blake lively 2011 candid wedding new york america ferrera. This Blake Lively photo contains boater, leghorn, panama, panama kofia, baharia, skimmer, kofia majani, kofia ya panama, kiparara, and kofia ya majani. There might also be fedora, waliona kofia, homburg, stetson, trilby, and kofia feli.